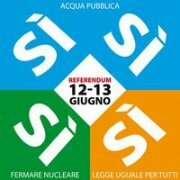 BUONE NOTIZIE! TEST PER L’ADHD NELLE SCUOLE? IL MINISTERO PUBBLICA ISTRUZIONE FINALMENTE DICE ‘NO’! NUOVA ADESIONE A ‘GIU’ LE MANI DAI BAMBINI: UN CALOROSO BENVENUTO AD IBFAN ITALIA! DOPO 36 ROMANZI DI SUCCESSO… ENZO RUSSO ADERISCE A ‘GIU’ LE MANI DAI BAMBINI’!